By now, you’ve probably heard a thing or two about the benefits of having a customer relationship tool (CRM) as part of your sales stack. Whether you’re unhappy with your current tool or are looking to upgrade from that old excel sheet to your first CRM, the first step to successful implementation is choosing the right CRM for your business. There are quite a few factors to consider, including functionality, cost, and features. Choosing a CRM platform can seem overwhelming, especially if you’re concerned about integrating new technology into your sales process or motivating your team to actually use it. What Role Does a CRM Play for Startups and SMBs? Before we dive into the specifics of choosing the right CRM for your business, here’s a quick refresher on why you need to do so. A customer relationship management (CRM) platform is designed to enhance relationships between businesses and people. As such, a good CRM acts as a central database for your contacts, sales opportunities, and customer interactions. 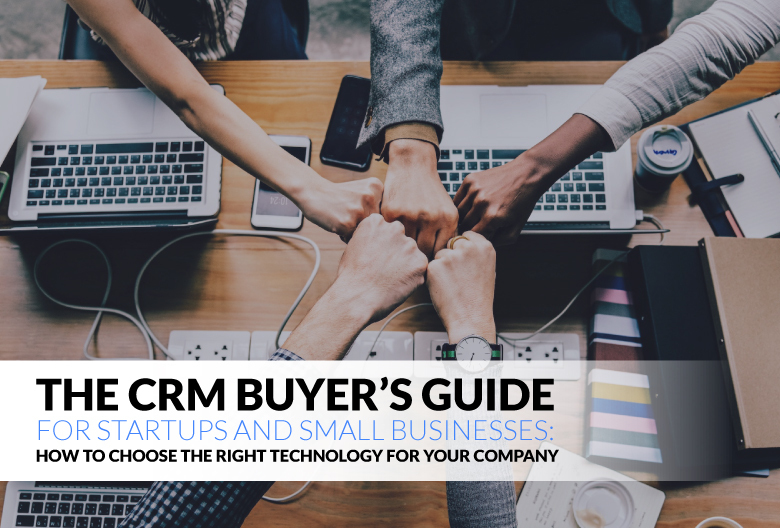 For a growing startup or small business, a CRM platform is the best tool for managing all of your leads, prospects, and customer records, as well as tracking open sales opportunities, closed deals, and other data. Let’s take a more detailed look at the three biggest benefits of a CRM for startups and small businesses. Let's face it, no one can remember everything about every customer, especially as your business keeps growing. You CRM functions as a centralized repository to store and maintain your data and manage your customer relationships. Having all this data stored can help your business better understand your prospects and customers. These insights allow you to forge a stronger connection with your most important customers. Arguably the most significant benefit a CRM can bring to your business is the ability to connect with leads and customers to develop stronger, long-lasting relationships. A CRM can help you guide your customers through the sales funnel and repeatedly bring them back to you. And since it costs five-ten times more to close a new customer than retain an existing one, this is a pretty high-value benefit. Not to mention that a repeat customer will spend up to 30% more than a new customer. 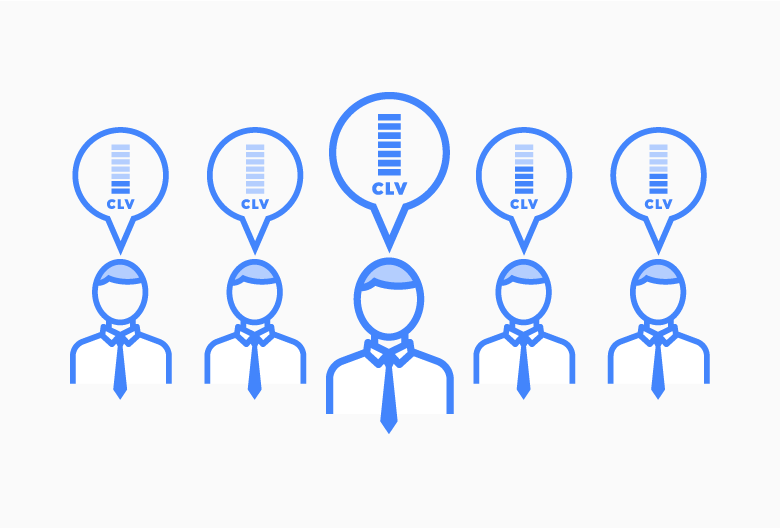 A CRM can maximize your customer lifetime value (CLV) without much added effort on your part. For example, after a sales call or product demo, you can automatically schedule reminder emails to follow-up before the momentum dries up. Likewise, after a successful sale, you can use your CRM to quickly identify opportunities for upselling, cross-selling, and referrals. You can then set up a lifecycle email campaign to educate your customer on getting the most value from your product or service. You can guide them through each step, explaining the benefits of different products, the potential cost savings of a longer contract, etc. – all while carefully targeting your messaging based on their responsiveness to your campaign. The best part is that you already have all of the customer’s data, interactions, and purchase history stored in your CRM, so you can easily send "personalized" emails with specific details. With a CRM, you can follow your prospect’s journey down the sales funnel, from the beginning to beyond the point of conversion. Since you can customize this funnel according to your business’ sales cycle, you’re able to visualize the pipeline and make decisions that optimize revenue. Prioritization can also help you prioritize high-value customers, saving you significant time and precious resources. You can segment the data by customer type or spend so you know which customers matter most to your business. By using a CRM solution tailored to your business, you have ready access to customer information. This allows you to quickly pull up customer data to handle invoicing, proposal generation, and payment processing on the go without having to type up the same information repeatedly. Furthermore, your CRM is a treasure trove of powerful data and customer analytics that can help improve your sales efficiency. You can uncover the best sources of new leads, the number of leads in your pipeline, best-performing salespeople, and the stages where your sales cycle slows down. These actionable insights can help you focus on areas that will deliver the maximum income and identify areas you need to improve. Most CRMs save on costs by using automation to generate new leads and grow your business. For instance, you can automate tedious tasks (like data entry) that often eat away at your sales reps’ workday. With automation, you can focus more of your time towards closing leads and answering customer requests. There are so many options out there with new features being added all the time. So, it’s easy to see why some people get overexcited and end up with a pricey CRM packed with features they never actually use. To get the best bang for your buck, choose a CRM designed specifically for your business and your goals. You need to think about how you will be using it, so you can decide which core functionality you need it to have. There are three main types of CRMs to consider, each designed with a different core function in mind. Keep in mind that CRM platforms can fall into more than one category. An operational CRM assists businesses in managing their day-to-day marketing, sales, and customer service operations. An operational CRM is the most popular type of CRM. It will typically include features to support marketing, sales, and customer communications. Analytical CRMs are usually suitable for companies with large amounts of data. The CRM analyzes the data to improve customer acquisition, optimize customer retention, and keep track of customer details. It usually involves aggregate data from multiple sources, which it uses to suggest next steps and actions. By going through tons of customer data, an analytical CRM can pinpoint bottlenecks in your sales funnel, identify customer behaviors, and predict conversions. These features allow you to analyze the data and identify patterns of behavior. An analytical CRM requires a significant amount of data (sometimes millions of data points) to operate effectively. A collaborative CRM allows a company to simplify communication across a large team, different departments, and their customers. It gives sales reps access to relevant customer data, and it can help improve customer experience and satisfaction. This type of CRM is helpful for companies where many different people frequently interact with the customer. What Makes a CRM the Right Choice for Your Small Business or Startup? One of the biggest challenges SMBs face in selecting a CRM tool is selecting software that best fits the needs of the business. So, when choosing a customer relationship management (CRM) software, we recommend that you make a checklist of your requirements. This extra step will help you pick the best fit for your business for one simple reason: the CRM you choose should support the way you do business. For example, if you use cold email campaigns to generate new leads, you need a CRM that integrates with your email client. Here are some questions you should ask yourself to help you define your CRM requirements. Thinking about your answers (and the reasons behind them) before you commit to a CRM platform will save you time and money down the road. 1. How many users do you need? 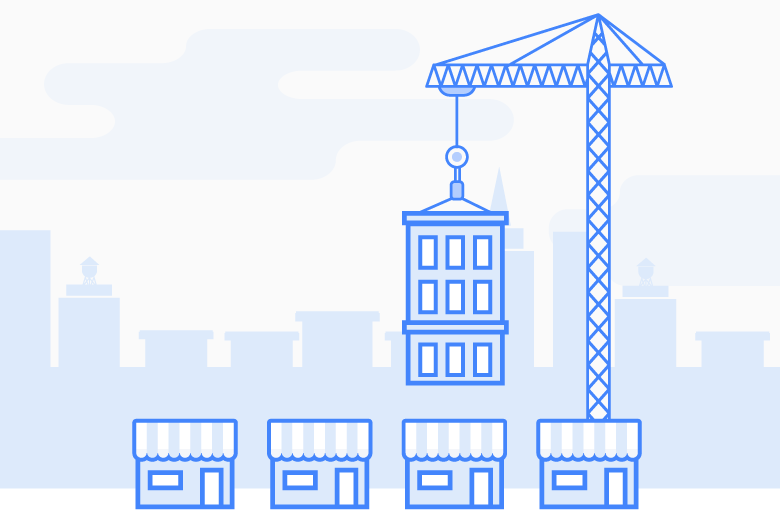 Different CRMs make sense for businesses of different sizes. So, determining how many team members will use the CRM is a crucial first step. For example, as a startup or SMB, you don’t want an enterprise solution with features you will not use. While larger enterprise vendors do offer more features, they tend to charge more per user. So, having a budget in mind can help narrow down your options from the get-go. Small to medium-sized business CRMs tend to cost $20-40/user/month, depending on the platform and the features you need. 3. Can the CRM scale with your business? When considering a CRM, you should look at whether the platform can easily scale as your business grows. This doesn’t just mean the ability to add more users. Will the pricing still work as you grow? Are there other features that you would need as a larger business? Depending on your target customer, you may want your CRM to track different types of data. Keep your users and customer base in mind when searching for a CRM. For example, if you frequently send different customers similar messages, then your CRM should allow you to send updates and information to customers using customized templates. 5. Do you have time or resources to train your employees? This answer depends on who the end user is. For example, if your sales team primarily consists of sales engineers, they’ll probably adapt to a complicated CRM rather quickly. However, training sales reps on an intricate CRM costs time and money. For SMBs and startups, we suggest sticking to an easy-to-use a system with a simple learning curve. 6. Does the CRM allow you to create custom reports? Your CRM should allow you to create the reports you need and easily customize them for your business. It should also have an option to export your data into reporting software like Microsoft Excel. There’s always a chance you’ll need to look at your data in a way that the vendor hasn’t envisioned – and you want to make sure it’s possible to do so before you commit to the platform. Once you have your list of business requirements, you want to look at the functional requirements of the software. We’ve compiled a list of some of the most important factors you should consider when researching and comparing different CRM options. Just remember to keep your business requirements in mind while going through this list! Sales Tracking: The most important function of a CRM is managing relationships, leads, and sales opportunities. The CRM should enable you to collaborate more efficiently, store contacts, and create and send proposals easily. Contact Management: Managing all of your contacts and making it easy to access the information you need is a critical function of a CRM. Your team need to have the right contact data available at their fingertips, but you may also want limit who can see which contacts. 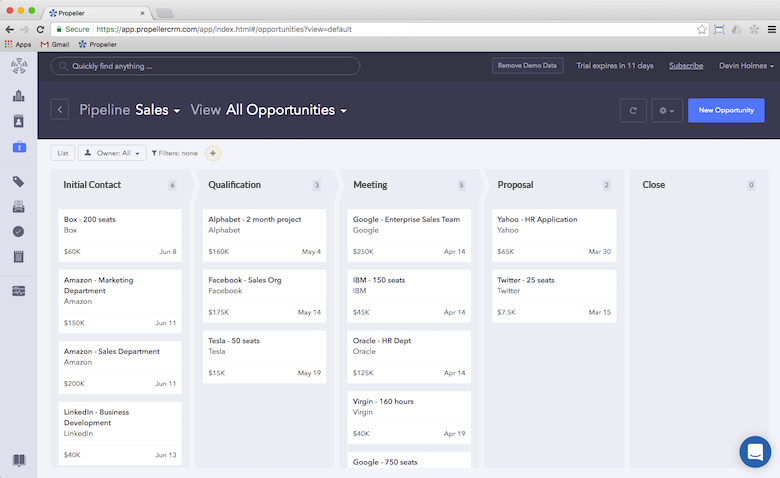 Visual Pipeline: You should be able to create custom stages according to your sales cycle and move leads through the funnel as they get closer to buying from you. Reporting Capabilities: Your CRM should be able to create easy-to-read, customizable sales reports. It should also allow you to generate custom dashboards that give you actionable insights about your business or export data for analysis. Email Integration: Cold email campaigns can be a powerful source of new leads. 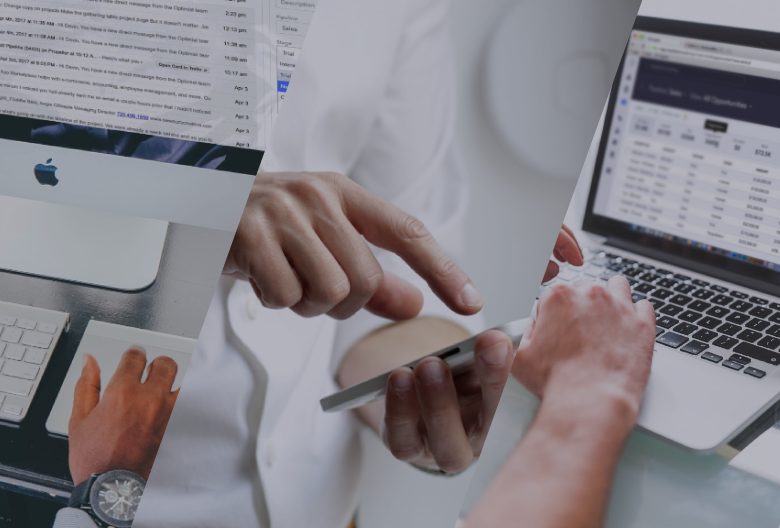 Plus, email is a vital tool for communicating with customers, partnering businesses, and investors. So, be sure to choose a CRM that works with your email provider, so you can easily track conversations with leads and customers. Scalability: You want to make sure that you can easily scale your CRM user requirements up and down without paying any extra fees or having to transfer your data to another solution. 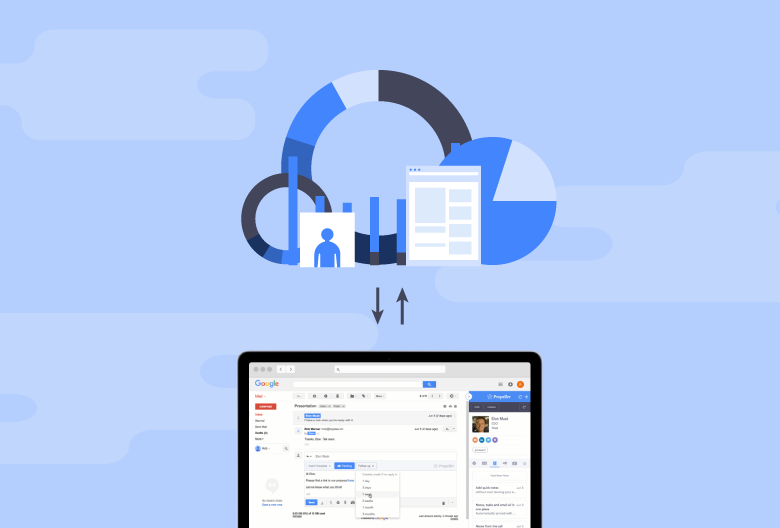 Easy Data Migration: Most cloud-based software services offer APIs that allow you to programmatically connect your CRM and pull data from their software. Check to see if the CRM plays nice with any other solutions you’re already using. Reliable Support: Many CRM provides are helpful and available to answer questions when you are in buying mode – but are they just as committed to supporting existing customers? Do some research to find out if you’ll receive the same high-quality support once you’ve signed up for their service. Regular Updates: The last thing you want is to get stuck with a CRM provider that doesn’t regularly update their product with new features or improvements based on user feedback. While the solution may be appropriate today, technology evolves quickly, so you need a system that can keep up with your future needs as well. Security: Having a user activity audit trail can help you keep track of who is accessing what data or making changes to your CRM. It can also help you quickly pinpoint any mistakes made by employees. Frequent Backups: The data in your CRM is your businesses’ most important asset. So, make sure the CRM you choose is hosted in the cloud and backs up all their data regularly. Transparent Pricing: Many CRM providers require yearly contracts and annual billing, which can reduce your costs long-term but requires a longer upfront commitment. Others offer month-to-month billing, which allows you more flexibility. You’ve probably heard horror stories about CRM failures, such as businesses losing all their data or throwing thousands of dollars down the drain. But rest assured, with proper planning and research (which you’re already doing! ), this won’t happen to you. Let’s go over some of the main reasons CRM implementations fail, how you can avoid these common pitfalls, and how to ensure your business thrives with the help of your CRM. This is the most common reason why CRM integrations fail. Many companies opt for a CRM with all kinds of bells and whistles, but later realize that it doesn’t have functionalities core to their business. Or they find out that it’s overloaded with features they’ll never use. This can make it harder for your employees to navigate the software or learn how to use it for even the easiest tasks. A simple solution to this problem is picking a CRM that is specifically built for your type of business. For example, if you lean on cold email campaigns to generate new leads, you need a CRM that works seamlessly within your Gmail account. Before selecting a CRM, you need to get buy-in from your team. Tell a story supported by statistics that prove having a CRM will improve their sales and save them time. State the benefits and train your employees on how to use the system. Another easy way to generate support is by rewarding early adopters of your CRM solution. This bolsters their support of the CRM and encourages other team members to follow their example. Don’t rush to get everyone on the CRM when you first roll it out. Pick your top employees to pilot the software first. Once they prove the merits of the CRM, you can introduce it to the rest of your team with confidence. Adequate training is a prerequisite for high adoption rates. To avoid overwhelming your employees, give them time to understand the system and provide them with resources to answer any questions they may have. Another way to simplify training is to start off using only some of the features available, then introduce new in-depth processes that take full advantage of your CRM. For example, you might start with tracking every new lead and scheduling meetings in the CRM. Later, you could manage all of your sales opportunities and customer interactions within the system. By introducing the platform one step at a time, your team has a chance to learn on the job and get comfortable with the new system. Every CRM thrives on high-quality data. If your team isn’t enthusiastic or well-trained on the new CRM, they might enter data incorrectly. Even poorly migrating data from your old CRM can have negative long-term consequences. So, what the solution? Other than focusing on a slower integration, encouraging employee adoption, and providing adequate training, there are additional steps you can take to prevent poor-quality data from entering your CRM. For instance, you could consider choosing a CRM that easily integrates with other parts of your business, like marketing or customer support. This can ease some of the issues that arise with data migration. Let’s close out our CRM buyer’s guide with 6 CRM best practices to keep in mind when implementing your new platform. These guidelines will help maximize your ROI on the CRM system you choose, tap into the full potential of the software, and grow your business without turning your reps into data-entry monkeys. The most important thing you can do is to find a CRM that matches up with your business needs. To improve your odds of long-term success, spend some time researching the best options for your industry, sales process, and business size. To facilitate adoption, you should focus on employee training when implementing your CRM. 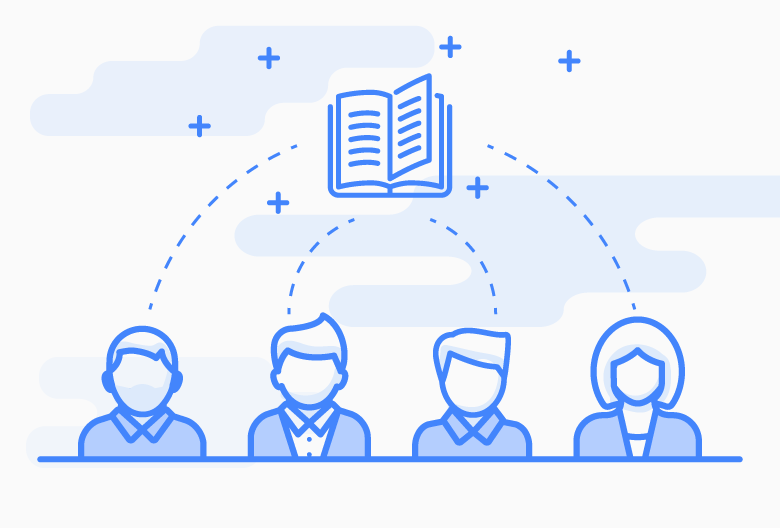 Provide your team members with training sessions to stay up to date on new features and resources to answer any questions that pop up. This might include videos and “how-to” guides produced by the CRM provider. To ensure that your data is not corrupted with incorrect entries or employees misusing the CRM, create clear guidelines for how everyone should use the tool. For example, you might want your sales reps to enter new leads within three days. However, this only works if you communicate that it’s their responsibility to do so and enforce the rules consistently. Modern CRMs offer tons of automation that can handle the bulk of managing your relationships. Use automation to save your employees from doing tedious and repetitive tasks, like data capture and entry. CRMs encourage different departments to collaborate with one another by having information accessible to everyone. This enables different people to add in data and work together to achieve your organization’s goals. CRMs are the lifeline of your business because of the amount of data they store. Many CRMs are also built with tools to give you actionable insights about your data and how you can use it to grow your business. Analyzing the data in your CRM can help maximize your ROI. Selecting and implementing a CRM can seem like a big task for small businesses. Hopefully our CRM buyer’s guide has given you the information you need to confidently choose and implement a CRM platform. We know that most business owners don’t have the time to learn or implement complicated software – they’d rather just focus on their customers and their business. That’s why your CRM needs to be easy to get started with, add value to your sales team, and fit the way you do business. An intuitive platform like Propeller streamlines your sales process without complicating your workflow. It helps you take control of your pipeline, generate leads, and you focus on what matters most: selling and growing your business. 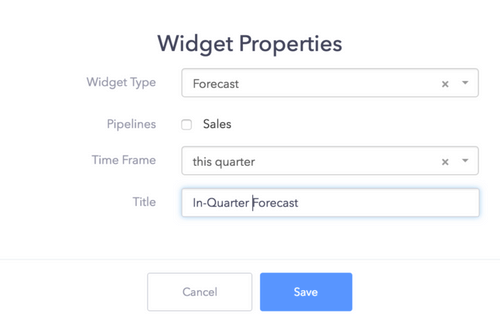 Want to see how easy it is to get started with Propeller CRM? Start your free trial today.